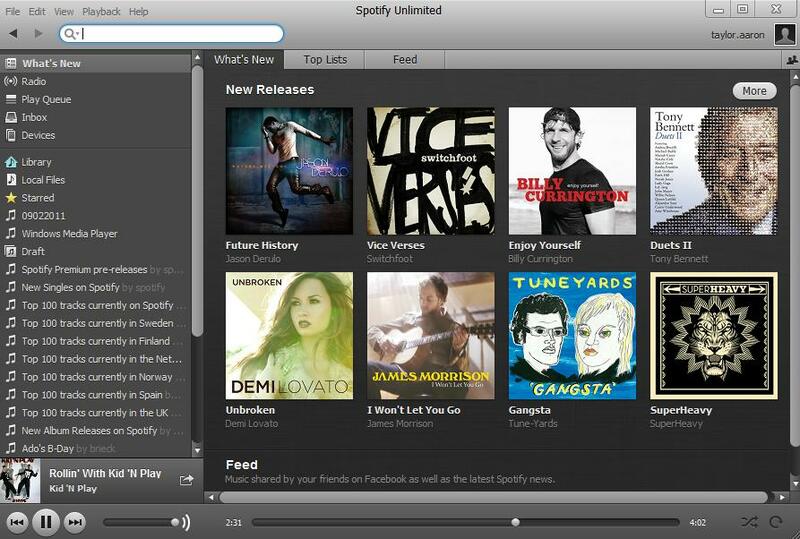 MusicMaster/Spotify Integration | by Aaron Taylor – WELCOME TO OUR INTERNATIONAL SUPPORT! Editor’s Note: Have you heard about Spotify? It’s a new way to listen to your music. There are a couple of different ways you can do that using MusicMaster, so following is the first of two articles where we’ll describe the process. Come back next week for the sequel. This article builds a bit on my last, which discussed the integration of MusicMaster with iTunes. To allow this functionality to work with Spotify, you’ll first need to make sure MMWIN is able to export a playlist to iTunes. In addition (if needed) you may want to get in touch with your personal MusicMaster Scheduling Consultant (MSC) to discuss your needs and plans. They will assist you in reviewing your database(s) to identify whether additional fields will be needed to allow the integration with iTunes (and Spotify) to work. Your MSC will also provide you with the needed files to add to your database, and your Music Master directory. As opposed to iTunes, where you’ll need to have copies of all the songs you would like to play back in your playlist on your local hard drive or network, as long as the song exists in the Spotify web application you are able to play tracks individually, or from a pre- defined playlist. The application can draw from your HD (if you’ve added the song there) and it doesn’t exist on their servers. There are options to subscribe to the paid “Premium” and “Unlimited” versions of the application, which are advertising free, in addition to the free version which will play ads in between your playlist. Playing a predefined, perfectly balanced MusicMaster scheduled playlist from one of your stations databases at a remote, other sales or listener event. Another great option for audio “play to air” for a web stream or HD channel. Scheduling music from MMWIN for foreground music purposes. An end user would only need access to iTunes and Spotify at their location. It would be simple to have multiple instances of the play out application launched in several locations/rooms, all controlled from one MusicMaster installation. Creating playlists from MMWIN that could be shared with friends, family, business associates and played in personal instances of Spotify at backyard BBQs, pool parties, etc. With Spotify Premium and the offline playlist mode, you have the ability to create a playlist and synch it with your iPad (as example) for the ultimate road trip “tape”. The possibilities for other utilization here are limitless. A small caveat here from our internal testing with Spotify: Due to what we understand to be some licensing challenges, you may find some of the songs you wish to air natively from the Spotify universe could be unavailable. This could certainly be supplemented by tracks locally sourced/ripped into Windows Media Player and iTunes. We’ll assume for the purposes of this article, you’ve already set up and tested MMWIN integration with iTunes. At present, for this functionality to work you’ll still need to send the playlists you intend to listen to/air via Spotify into iTunes so they can be recognized in a format that Spotify can interpret. Go ahead and schedule/ edit your playlist in MusicMaster. 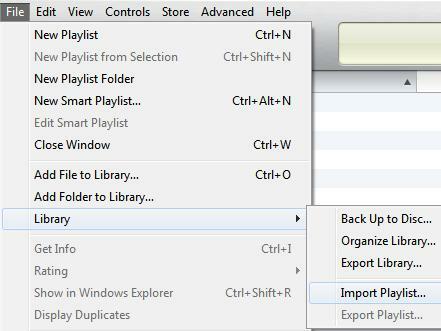 Once finalized, export the playlist you’ve created to a place that your iTunes software can find it. 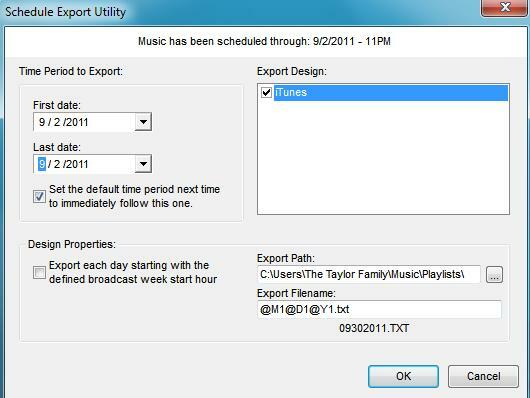 Export the playlist the same way you export currently…DATASET-SCHEDULE-EXPORT-EXPORT TO AUTOMATION. Select your iTunes export design, and you probably should double check the Export Path and Export Filename boxes at this time as well. 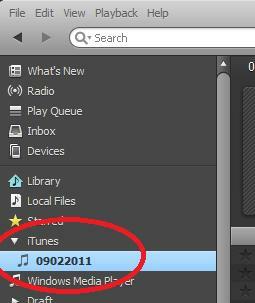 Once the file has been exported, go into your iTunes application and import the playlist. Once this step is done, then go to your Spotify application and bring that playlist over into its library.